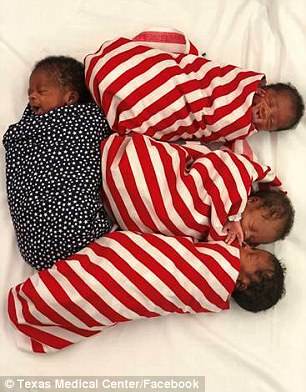 A Nigerian woman who flew to Texas to give birth to quadruplets has been able to take them home from NICU - just in time for Independence Day. 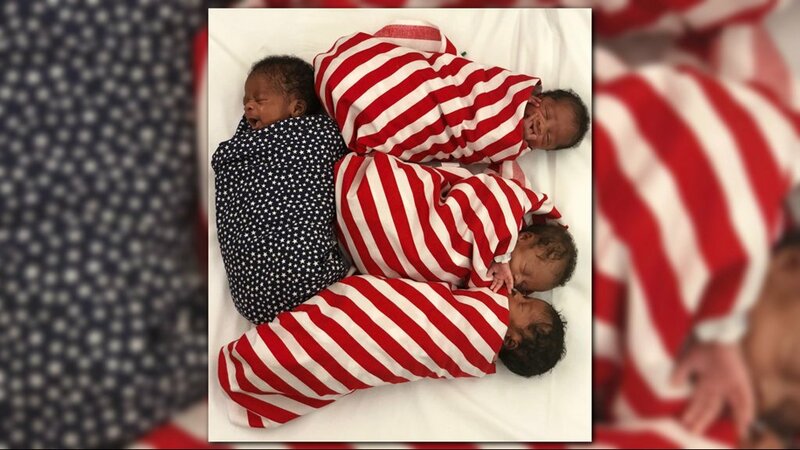 And an adorable photograph of the babies shows nurses at Memorial Hermann Southwest Hospital had them dressed for the occasion - swaddled in stars and stripes. The three girls and one boy were born June 1, with two weighing less than three pounds and two others weighing just shy of four pounds. Mercy Grace Dotuchowo, Adriel Wohuowo, Amaris Owopoha and Zephania Ohoyenta spent several weeks gaining their strength in the Level III NICU before they were able to finally leave the hospital. 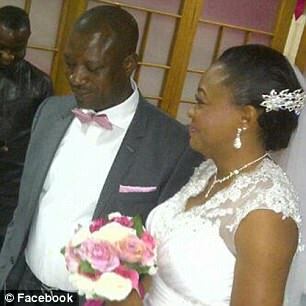 New mother-of-four Linda Agi told DailyMail.com she flew from Nigeria to Texas on the advice of her doctor, who said because she was over 40 and having four children at once, there was not adequate care available for her in her home country. 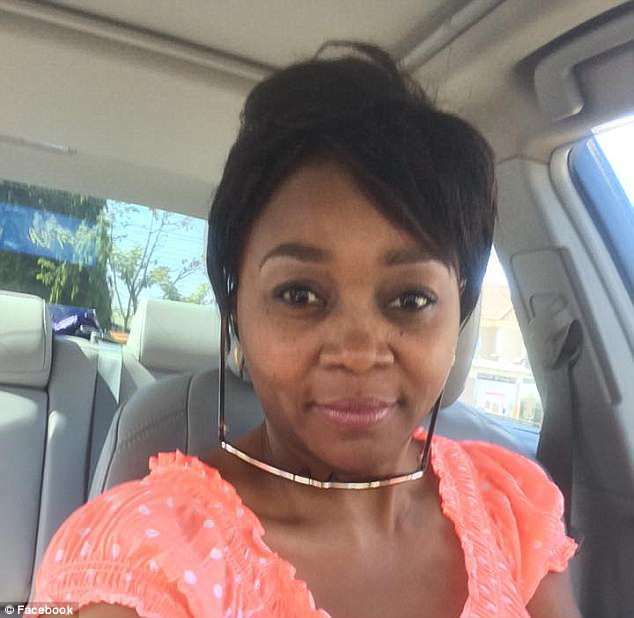 She and her husband Thomas saved up for flights and expected medical bills, and went to stay with Thomas' sister in Houston. To ensure they continued earning money, Thomas flew with her so he could meet her doctor and returned home to work. 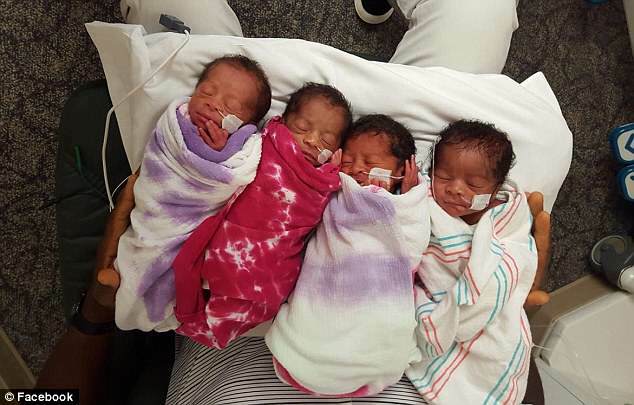 A GoFundMe has been set up for the quadruplets to help Linda pay for diapers, formula and a pediatrician. 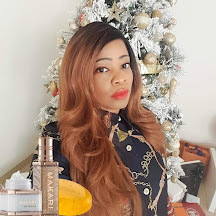 Linda's niece, Mary Ogbeh also shared this on Facebook. Congratulations to Linda, we rejoice with the family!